The right display can make or break your PC gaming experience. Get the right monitor for your build and get the most out of your games. Your display is the one part of your gaming PC that you interact with 100% of the time. It is literally the window into the world of your games. Sure, you can hook up any old display that you find in the dumpster behind McDonald’s, but pairing your PC with the right monitor can transform your experience from “pretty good” to “amazing”. Just like cars, craft beers, or buttplugs, there is no one perfect option that works for every person. Thankfully, the PC display market is loaded with options at every price point to accommodate your needs and budget. The options you have for selecting a monitor can be overwhelming at first. They are available in a wide variety of sizes, panel types, resolutions, and refresh rates. Making the right selection depends on how you plan to use the monitor with your setup and what types of content you plan on consuming on it. Some users may prefer a single large display, while others will opt for using two or more monitors. Not every monitor will be ideal for all scenarios, but our guide can help you make the most informed decision possible. What Are The Differences Between TN, IPS, and VA Panels? When shopping for a display for your gaming PC, your options will include screens made using either TN, IPS, or VA panels. Each type of panel has its strengths and weaknesses. TN (twisted nematic) displays are generally available in the most affordable monitors. 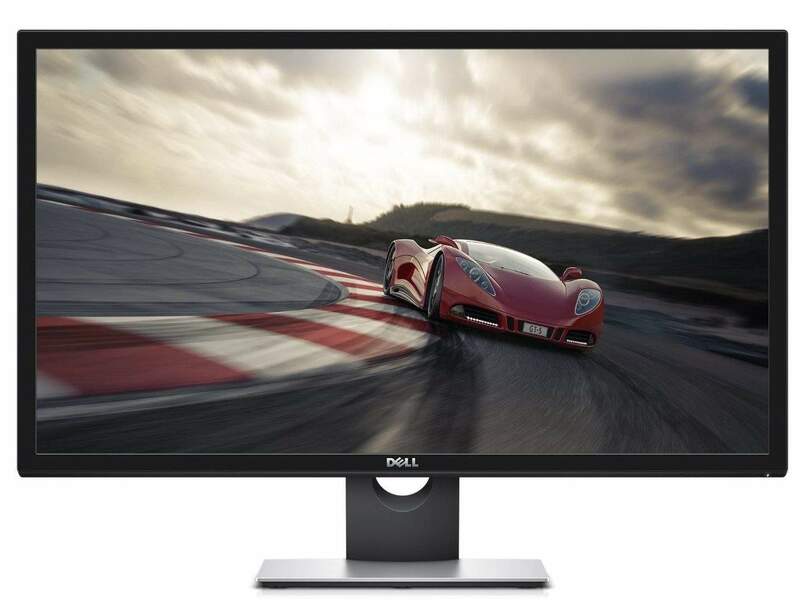 The biggest advantage to opting for a TN-based monitor is pure speed. TN panels typically have the fastest response times and lowest amount of input lag when compared to the other panel types. TN panels are a favorite for competitive gamers who value speed and responsiveness over other considerations. In games that require quick-twitch response and lightning fast input to excel (think Counter-Strike, Quake, etc), a good TN-based display will give you the biggest competitive advantage. When things get hectic and multiple objects are flying around then screen, TN panels can give you the clearest image. This speed comes with some drawbacks, though. Color reproduction, contrast, and viewing angles are considerably worse on TN panels versus IPS and VA. When viewed from either side or high angles, TN panels tend to have extreme drops in color accuracy and contrast. If you plan on having one display right in front of you, TN can be a good choice, but is not recommended for use as a side display in multi-monitor setups. IPS (in plane switching) displays are known for their color reproduction and generous viewing angles. 10 years ago, IPS displays were most common in applications like print work and photography. Professionals relied on the superior color reproduction provided by IPS displays to ensure what they saw on screen translated accurately to paper. The early generations of IPS displays suffered from very slow response times, but in recent years, gaming-centric IPS monitors can offer a high-speed gaming experience comparable with all but the best TN panels. IPS monitors generally offer exceptional horizontal viewing angles and are the best choice for use as a secondary display that won’t always be at the front and center of your vision. Like TN panels, IPS panels do offer some drawbacks. As mentioned, they are incapable of reaching the blistering fast response times of the best TN panels, though you can still find solid IPS monitors with high refresh rates. IPS panels are incapable of producing the high contrast images that VA panels are known for. Some of these displays also suffer from a conditions like IPS glow and backlight bleeding. IPS glow refers to the washed-out look that many IPS monitors have when displaying very dark or black scenes. All but the very best IPS displays can only offer a dark grey look rather than something close to true black. Backlight bleed is when the lights behind the panel leak around the edges near the bezels. This often leads to a lack of detail and contrast near the bezels of the monitor. VA (vertical alignment) panels were created to address the issues common to TN and IPS panel types while offering some of their strengths. Like those panel types, VA also suffers some drawback that keep it from being the “perfect” solution. VA panels offer great color reproduction and are generally capable of producing high-contrast images that pop off the screen. VA panels are able to provide this level of contrast because they are very good at displaying dark blacks. Users who consume lots of movies, TV, or internet video will greatly benefit from going with a VA panel, as will those who play lots of games with dark scenes. Unlike TN or IPS, VA panels can keep a clear image, even with scenes full of shadows and dim lighting. VA panels offer superior viewing angles to those found with TN panels, but still fall short of what IPS displays are capable of. While they are available in high-refresh configurations, VA panels cannot compete with the best TN panels when it comes to response time. Highly-competitive gamers are better off sticking with a TN option, but VA is a strong alternative to the other display types and works well as a “jack of all trades”. Depending on how much money you spend, you can buy your way out of some of the shortcomings of each panel type, but this guide will focus on options that cost less than a used car. In recent years, gaming displays have been offered with increasing refresh rates. All other things being equal, you should always opt for the highest refresh rate you can afford. While most conventional displays operate at 60Hz (meaning the image is refreshed 60 times per second), using a monitor with a higher refresh rate offers a smoother experience in all things you would do on your PC, including simple things like moving the mouse pointer around or browsing the web. 75Hz, 100Hz, 120Hz, and 144Hz displays are now fairly common when shopping for flat panel monitors. TN panel monitors are the cheapest and easiest way to get into the world of high refresh rates. You will find lots of options in the 24 to 27-inch range that can be purchased for under $300. Typically, high refresh rate IPS monitors will be more expensive than comparable TN monitors, The same applies to VA monitors. If you need a display larger than 27 inches, your high refresh rate options will be mostly limited to IPS and VA panels. When a panel is designed and produced, it is usually meant to operate at a given refresh rate and will provide its advertised image quality at that refresh rate. Monitor makers also have the option of buying these panels and “overdriving” them. This process lets the panel operate at higher refresh rates, with the trade off of reduced image quality while they are being pushed to the edge of their limits. This is common on some of the current generation of 100Hz ultrawide monitors and some 144Hz VA panels. Most monitors operate at fixed refresh rates. If you have a 60Hz monitor, it will display a new frame 60 times per second. If you gaming PC is drawing exactly 60 frames per second (fps), the output from your GPU will be in perfect sync and everything will be smooth. Unfortunately, not all PC configurations are capable at rendering all games at all resolutions at intervals that match perfectly with a display’s refresh rate. If the GPU is producing under 60 fps or over 60 fps, the resulting output on the monitor can result in screen tearing. These tears in the display’s output are caused when the frame arrives at an interval that doesn’t match the refresh rate. The tear is the line between two different frames. In an attempt to combat this issue, software solutions like v-sync were developed to ensure that the output from the PC and display are locked in-sync. While the various forms of v-sync can offer relief for the problem, they can introduce input lag and stuttering into your games. Adaptive sync displays fix this problem by altering the refresh rate of the display to match the output from the PC. You can get a perfectly smooth and tear-free image from your monitor, no matter what frame rate your gaming PC is outputting a game at. NVIDIA graphics cards offer support for adaptive sync via the company’s proprietary G-Sync technology. G-Sync-enabled monitors contain a hardware scaler that must be installed in the monitor for the adaptive sync to work properly. G-Sync only works with NVIDIA graphics cards. AMD graphics card support adaptive sync via FreeSync. FreeSync is AMD’s branded version of the VESA standard Adaptive-Sync feature. It does not require the monitor to have any additional hardware for operation. Generally, any monitor that conforms the the VESA standards for adaptive sync can make use of FreeSync. Because of this, FreeSync-capable monitors are typically cheaper than comparable G-Sync monitors, though their operating ranges and modes can vary from panel to panel. A monitor’s resolution describes the amount of individual pixels that the panel uses to comprise the image you seen on screen. 95% of the monitors you will find on the market use of the three most common 16:9 resolutions. 1080p is shorthand for a 1920x1080 pixel array, 1440p is shorthand for a 2560x1440p pixel array, and 4K refers to a 3840x2160 pixel arrangement. While the jump from 1920x1080 to 3840x2160 seems like everything is doubled, 3840x2160 resolution is actually four times the number of pixels (hence the “4K”) found on a 1080p screen. New ultrawide monitors often use a 21:9 aspect ratio and can be found with 2560x1080, 3440x1440, and 3840x1620 resolutions. Selecting which resolution your monitor will be is very important, especially when it comes to games. Higher resolutions offer better image quality, but that quality comes at the cost of increased demands on your gaming PC’s hardware, particularly on the GPU. 1080p is a great choice for budget builds, as it looks good on small to medium sized displays and can be efficiently driven by affordable hardware. 1440p is a nice step up from 1080p and is incredibly popular with gamers who use 27 to 32-inch displays. It offers a very noticeable boost in image quality and can be driven efficiently by mid-range to high-end GPUs are solid framerates. Enthusiast-class GPUs are even capable of driving 1440p at refresh rates as high as 144Hz. 4K is the current high-mark for gaming monitor use and offers breathtaking image quality, but is insanely demanding on all but the most expensive GPUs. 4K resolution offers incredibly high pixel density, so its advantages are best experienced on 27-inch or larger displays. The pixel density of a 40-inch 4K display is comparable to that of a 27-inch 1440p display. Due to current video interface technology limits, 4K monitors are currently limited to a maximum of 60Hz, though high refresh rate 4K panels are expected to be on the market by this time next year. When looking at monitors in the 24-inch range, you can find some real value for your dollar. All of our recommended picks are 1080p, which offer great image quality at this size. For those who value color accuracy or only dabble in light gaming, both the Dell and LG monitors listed above use vibrant IPS panels that are perfect for day to day use. If the looks of the monitor itself are a primary concern, the LG model in particular is a strong option. For gaming purposes, going with a high refresh rate TN panel is our recommendation at this size. Thankfully, you have lots of options and reasonable pricing. The ASUS VG248QE and the Acer GN246HL both offer 144Hz panels and can be found for $200 or less. While neither of these monitors offer adaptive sync capabilities, they can often be found for close to half the price of our recommended models that do carry those features. For AMD Radeon Graphics users, the AOC G2460PF is our top pick. For $200, you get a 144Hz panel and full support for AMD FreeSync. For around $20 less, the ASUS VG245H gets you a 75Hz panel with FreeSync. NVIDIA users, the Acer Predator XB241H gets you into the G-Sync game and packs a 144Hz refresh rate. If you can extend your budget a little farther, the ASUS ROG Swift PG248Q gets you a 180Hz panel with G-Sync. It represents the top of the line for 1080p gaming at this screen size. In the 27-inch category, we highly recommend you grab a 1440p monitor to get the most for your dollar. On the high-end, both the Acer Predator XB271HU and ASUS ROG Swift PG279Q offer the same 144Hz G-Sync performance as their 24-inch TN counterparts, but also bring the vibrant image quality and viewing angles IPS displays are famous for. These monitors are the best option for NVIDIA users, but they carry a price tag that is double what the 24-inch TN models sell for. AMD users can get comparable IPS FreeSync monitors from either Acer or ASUS, all while spending about $150 less. The ASUS MG278Q gets you 144Hz FreeSync capability with a TN panel that typically costs $50-75 less than its IPS sibling. PC gamers looking for the best bang for their buck on 27-inch displays should consider either the Nixeus EDG 27 or Pixio PX277. These monitors share the same 144Hz VA panel and represent an outstanding value compared to their IPS counterparts. They offer comparable color reproduction while outclassing the aforementioned $750 IPS displays in contrast for almost half the price. If you're after G-Sync without breaking the bank, the Dell S2716DGR is the perfect choice and can often be found under $400 on sale. The ASUS PB277Q is perfect for players that want a higher refresh rate, but can’t quite afford the 144Hz panels. Both the BenQ BW2765HT (IPS) and Acer K272HUL (TN) will let budget-conscious users get a super-crisp 1440p display under $300. 32-inch gaming monitors have started to gain popularity recently, especially for players who are looking for the increased immersion that comes with a larger display. At this size, 4K resolution starts to make a lots of sense and the Acer Predator XB321HK is the current king of the 4K mountain for NVIDIA users (and the only G-Sync monitor in its class). Even a GTX 1080 Ti lacks the power to drive all games at a locked 60fps at such a high resolution, so the adjustable refresh rate provided by G-Sync is very welcome. 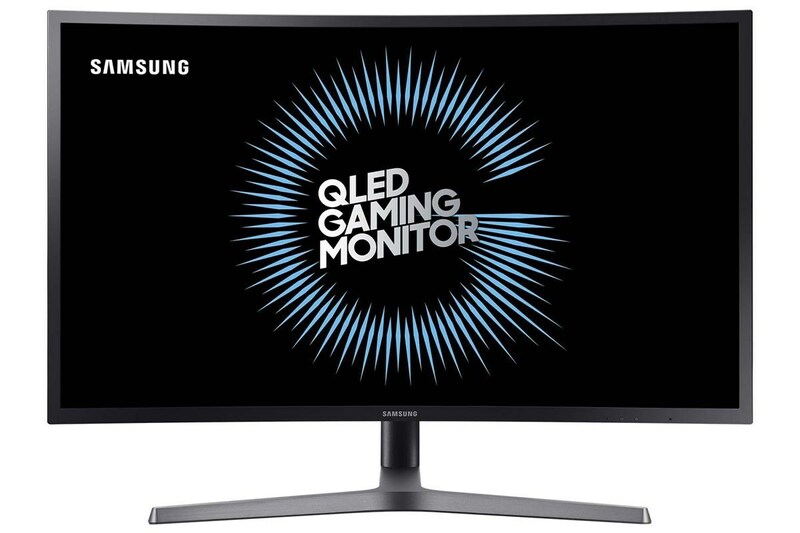 Samsung’s C32HG70 is a bit of a unicorn in the gaming monitor market. It is the only high-refresh gaming monitor on the market that actually supports HDR output. There are a few other HDR-capable monitors on the market, but most of them have poor input lag. The Samsung checks off all the important boxes and offers huge value (sells for ~$300 less than Acer’s 4K 32-inch G-Sync). It is also one of the first displays to make use of AMD’s new FreeSync 2 certification, offering variable refresh rates with vibrant HDR output. If you crave speed, but don’t want to compromise on contrast or color accuracy, this is the ticket (if you don’t mind the curved screen). The VIOTEK GN32LD offers a similar experience without the HDR support (and an even lower price). High-end ultrawide monitors will leave a crater in your wallet, but are capable of giving you an immersive gaming experience that is second to none. The most popular gaming-centric ultrawide displays make use of 34-inch or 35-inch panels. Think of them as 27-inch displays that have been stretched vertically. The monitors in our recommendations run anywhere from $600 to $1200, depending on panel type and features. There is lots of competition on the high-end of the market and you have choices from ASUS, Acer, and HP if you have around $1000 to spend. Recently, the AOC AGON AG352UCG and ASUS Rog Strix XG35VQ hit retail shelves and offer a comparable experience to their $1000+ siblings for considerably less money. If you don’t mind using a 75Hz monitor, the new Acer XR342CK bmijqphuzx (by far the worst product name of all time) is the first ultrawide IPS to offer HDR support. It’s color reproduction can make the faster 100Hz ultrawides look like you are gaming through a dull window.